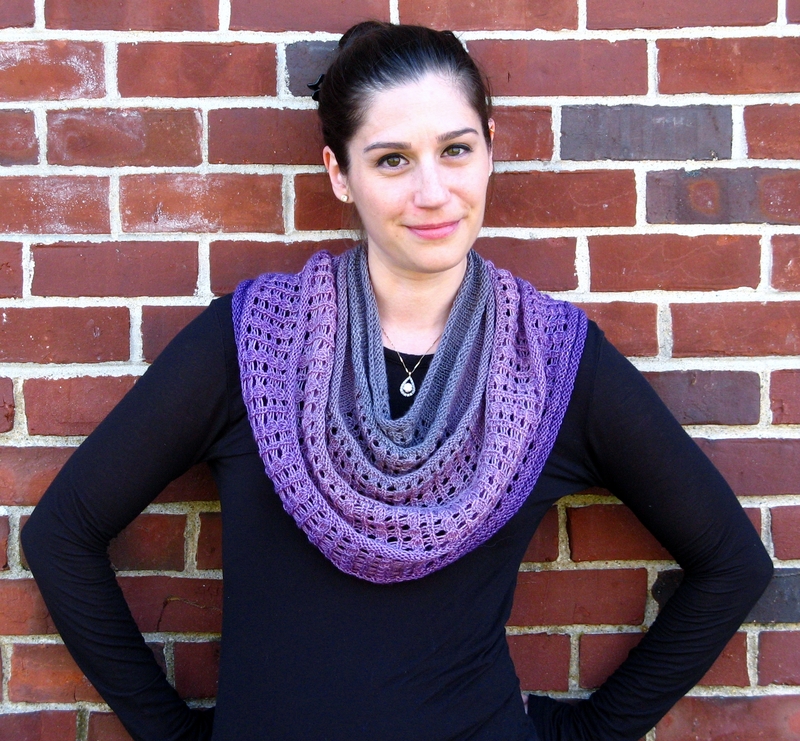 Now available on Ravelry: Mini Meltdown! Get 50% off from now until the end of July 2016 with coupon code SummerMeltdown! 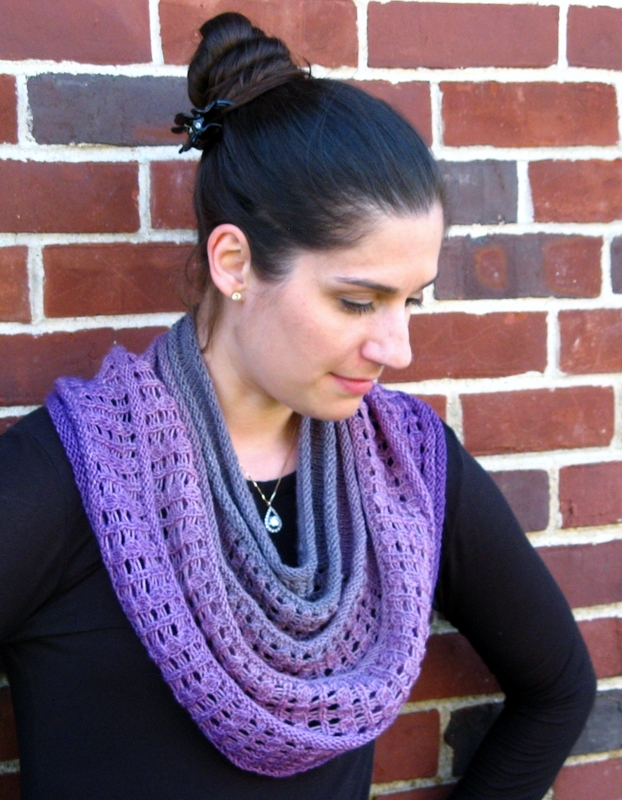 Colors melt into each other, draping beautifully around the neck in a mix of lace and simple stockinette stitch. 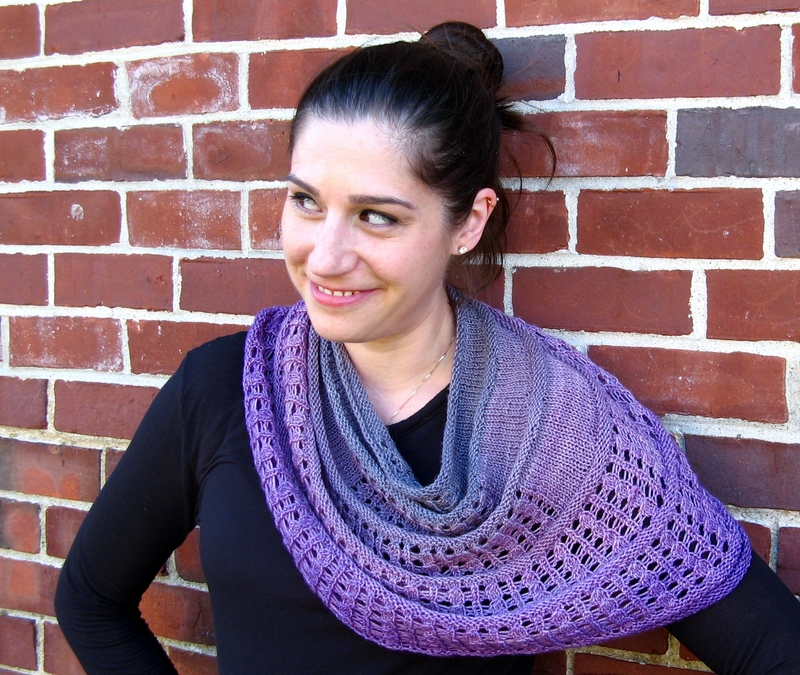 Mini Meltdown was designed especially for gradient mini skein sets from A Hundred Ravens; the design would also work well with single-skein gradient yarn, as well as many tonal and mildly-variegated colorways. 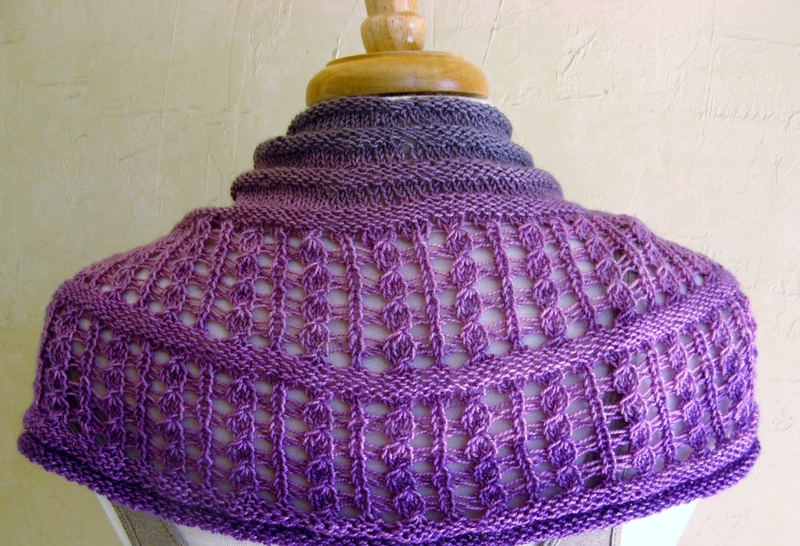 Mini Meltdown is worked top down, both in the round and flat, using short rows to shape the cowl. Lacy sections are charted, with full written directions for all charts. 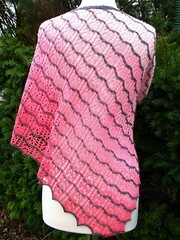 The sample used about 360 yards as pictured. It would be relatively easy for an experienced knitter to modify the design to be larger (which would, naturally, require more yardage).